John D. McDonald, P.E., has 39 years of experience in the electric utility transmission and distribution industry. John received his B.S.E.E. and M.S.E.E. (Power Engineering) degrees from Purdue University, and an M.B.A. (Finance) degree from the University of California-Berkeley. John is a Fellow of IEEE, and was awarded the IEEE Millennium Medal in 2000, the IEEE Power & Energy Society (PES) Excellence in Power Distribution Engineering Award in 2002, and the IEEE PES Substations Committee Distinguished Service Award in 2003. John is Past President of the IEEE PES, a member of the IEEE Medal of Honor Committee, a member of the IEEE PES Region 3 Scholarship Committee, the VP for Technical Activities for the US National Committee (USNC) of CIGRE, the Past Chair of the IEEE PES Substations Committee, and Chair of the Smart Grid Consumer Collaborative (SGCC) Board. John was the IEEE Division VII Director in 2008-2009. John was on the Board of Governors of the IEEE-SA (Standards Association) in 2010-2011, focusing on long term IEEE Smart Grid standards strategy. 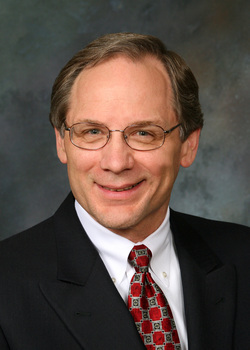 John was elected to Chair the Smart Grid Interoperability Panel (SGIP) Governing Board for 2010-2013. John is a member of the Advisory Committee for the annual DistribuTECH Conference, and received the 2009 Outstanding Electrical and Computer Engineer Award from Purdue University. John teaches a SCADA/EMS/DMS course at the Georgia Institute of Technology, a Smart Grid course for GE, and substation automation, distribution SCADA and communications courses for various IEEE PES local chapters as an IEEE PES Distinguished Lecturer. John has published sixty papers and articles in the areas of SCADA, SCADA/EMS, SCADA/DMS and communications, and has co-authored three books.